Home Transportation Does DTLA Need Another Freeway Off-Ramp? The area south of Downtown proper, the neighborhood sandwiched between the 10 freeway and USC, is in transition. The newish Expo Line stations and some development proposals could bring in new residents and foot traffic; meanwhile a $20 million plan called MyFigueroa aims to reposition Figueroa Avenue—which runs right through the district—as a biking and transit wonderland, with new bus shelters and cycle lanes. The California Department of Transportation though, has plans for a new flyover off-ramp to accommodate their successful HOV toll lanes, and some are saying the two proposals conflict. 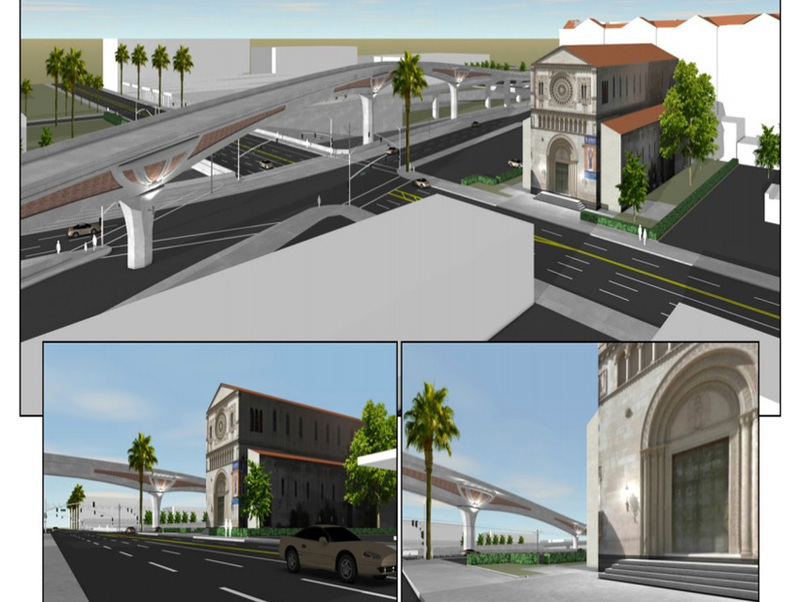 Caltrans wants to add the new off-ramp near Los Angeles Trade Technical College, which is serviced by a Metro station. It would allow those in the 110 toll lanes another option to exit; currently drivers can only exit at Adams Boulevard near Flower Street. The new ramp would allow cars to get off at Figueroua Street, south of 23rd Street, two blocks north of the current exit. While Caltrans thinks the new off-ramp will not deter from the effort to make Figueroa more pedestrian- and bike-friendly, other disagree. No final decision has been made, but Caltrans—more often than not—gets their way. Next articleWhat’s Really Behind the Rams’ Return to SoCal?